ICE trikes are attractive down to the details of the frame work. 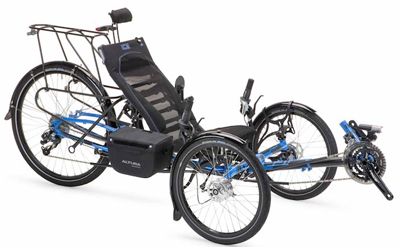 ICE provides a full range of accessories specific to their trikes. The seats are famously comfortable and highly adjustable. ICE puts lots of attention into the design of these trikes. The Adventure, Sprint and Full Fat trikes fold for easy transport and storage, with no tools required. To fold, remove the seat, fold the handlebars down, and then fold the rear end of the frame over the top. This takes the trike into two manageable pieces. You can further compact it by removing the front wheels and sliding the boom in. Optional accessories make these procedures tools-free as well. 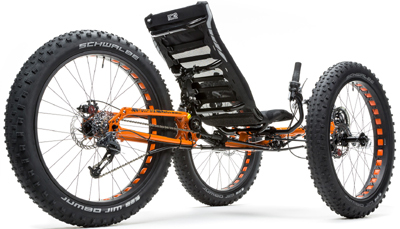 ICE offers front and rear suspension options on their trikes. Do you need suspension? Certain back conditions need it, and when they dump chip seal on your nice road you might benefit from it. Suspension is the key to the off road superiority of the Full Fat. Many people just want the extra plush ride fit with their idea of the deluxe treatment they deserve. If you plan to electrify your ride you’ll find benefits in comfort and handling as the motor propels you about 5-10 mph more than you might otherwise. While we stock only certain configurations of ICE trikes, your really have a lot of choice in how your trike is put together. If you want to take something home today then you’d need to choose something from our stock, but we can order them in with all kinds of variations. So you shouldn’t feel overwhelmed by these choices. Just tell us about the kind of riding that you want to do and we’ll work out what you need, assuming that you need anything special. 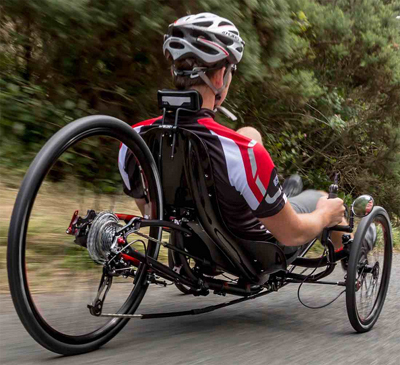 All ICE trikes have indirect steering, which is distinct from what Catrike and TerraTrike use. Indirect steering is the classic form of trike steering, a bit harder to tune, but some people like the feel of it better. 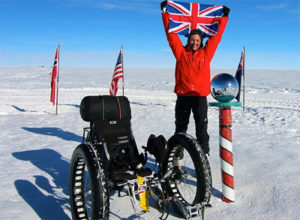 So you’d need to come in and try an ICE side by side to a direct steering trike to understand the difference. I.C.E. 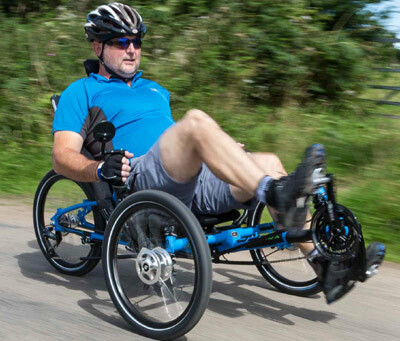 traces its history back to the Trice recumbent tricycle, built in the mid-1980’s by British cycling visionary Peter Ross. 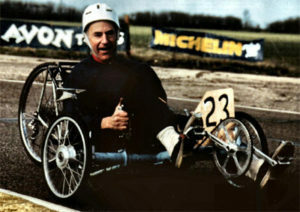 Ross produced several iconic designs during the early years of mainstream recumbent manufacturing. 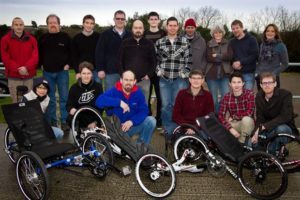 With production in the UK and a growing market in the USA, Ross quickly turned his attention to making his trikes packable. Not only was the Trice in the vanguard of trike designs, they took the lead on folding and modular designs. In the 1990’s Chris Parker signed on with Ross to streamline his production. Three years later Ross retired from the company. Parker joined with Neil Selwood to form I.C.E. What followed was an explosion of design proliferation, the Micro, the Mini, the Monster, the Pioneer, X2 tandem, XL, XXL, and on, and on. We worked on and later brokered the sale of the first production Pixie, for kids. I.C.E. became a sort of custom shop turning out all sorts of designs, all based on the same refined basis. We’ve observed this trend with a few ‘bent makers. First they go through periods of huge variety seeking what works. Then they winnow their choices down in order to make production more efficient and profitable. Selwood and Parker are doing their best to contain their inventive impulses, with the line down to just a few models. Well, sort of a few models, with all manner of options available. They offer suspension options, seat choices, wheel sizes, component variety, and on, and on. As a retailer trying to keep a rational inventory we find it a little hard to deal with sometimes. But in the end it benefits the customer. Try as they might they can’t quite limit themselves to the tyranny of a few stock models.